It is vital to look at a big picture when buying a steel building and to think about the future and what things you wish to avoid overall. You can get a small sized building for an affordable price tag; however, if you plan to expand your production in the future, you may think about more space from the very beginning. On the other hand, making the wood structure is cheaper than metal buildings, but you will have to deal with constant repairs and maintenance, which will make you spend more money in the long run. Steel buildings feature non-load bearing exterior walls that will provide you the ability to use various construction materials so that you can expand the structure and enclose the building. Wood feature load-bearing exterior walls that will reduce the possibility of improving and remodeling afterward, which means that it would be challenging to expand afterward. Similarly, like anything else, you will get what you pay, and no one enjoys overpaying without making proper decisions before. 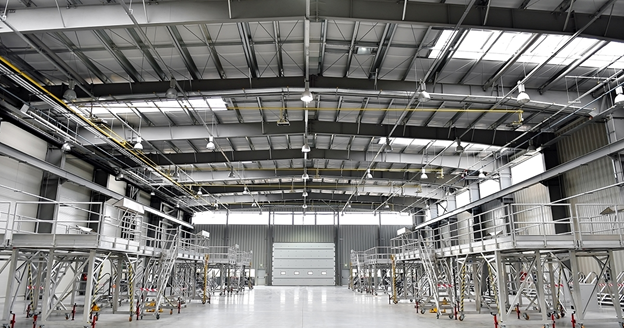 Have in mind that steel buildings tend to be pre-fabricated to a controlled environment and by using rigorous quality standards and regulations. Even though other materials tend to be less expensive, they are not as durable, and you will not be able to rest assured due to the high level of maintenance. Wood is, for instance, less expensive solution but it is vulnerable to certain risks such as termites and fire. Steel is the most reliable solution when compared with other construction materials used on the market. However, looking for the cheapest steel is not the best move as well. If you consider affordable steel building, you may get missing parts and pre-drilled holes that are not in the line. Cheap buildings can also provide you implication that you cannot depend on the supplier and contractor. However, if you need a replacement part, you will not be able to get it anywhere else apart from the place that constructed it. The low price of steel comes from cutting service, and you will get a low-grade solution, which is the cheap way of constructing your commercial building. You will not get exceptional quality assurance, which is the main reason why you should avoid it altogether. The best way to learn more about different types of steel is by clicking here. You can find a general contractor or a broker that will provide you a wide array of metal buildings for your particular requirements. On the other hand, we recommend you purchase it directly from the manufacturer. A broker tends to sell based on your budget and the measurement specifications that you require. The idea for you is to put together a wish list, and the broker will check the market for something that will meet your requirements for an affordable price tag. However, you will not have additional chances to customize the final product, and the broker will not handle erection and delivery. If you wish to handle extra things such as insulation, you will have to do it separately. On the other hand, general contractors work with specific manufacturers that will provide them building kit and materials. You can rest assured when it comes to assembly and delivery, but costs will increase because you will have to pay for labor as well. Similarly, as with the broker, you will not be able to customize everything you want, and they will choose the building based on your budget capabilities. Therefore, you should go straight to steel building manufacturers that will directly sell you based on your custom design and special needs.